Jennifer Lopez, the most influential Hispanic entertainer in the U.S. according to People en Espanol magazine is also a successful actress, singer, record producer, dancer, fashion designer and television producer. J.Lo is rocking these aviator style sunglasses by Tom Ford. The Tom Ford TF 0132 Pablo is her choice for sunglasses: it features a unique double bridge design and a vintage-look style. 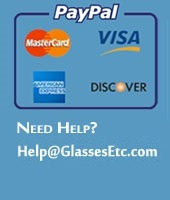 Hurry and get yours today at GlassesEtc.com. Want to Look Like Jennifer? In June of 2014 Jennifer Lopez released her new album: AKA. She also released a teaser video for the track “Worry No More” featuring Rick Ross, and here you can see her wearing Bvlgari’s Ivory White Catene sunglasses (BV 8129HB) as the video opens. These sunglasses are easy to identify with their gold chain-link design on each arm that is adorned with crystals. If you have found another picture of Jennifer Lopez wearing different sunglasses, Share it with us here!